Martin Professional is targeting the installation market in a big way with the launch of the all-new, cost-effective Rush line of effect lights at the Prolight + Sound Show 2013 in Frankfurt. Following the first Rush launch in Frankfurt, the series will comprise a comprehensive range of affordable effect products. The bunch of products launched at Prolight + Sound 2013 already cover a range of installation applications in bars, restaurants, shopping malls, discos theme parks and more. The Rush MH 1 Profile is a bright LED profile moving head with efficient optics providing a variety of effects and colours from two gobo wheels and one colour wheel. It houses a motorized zoom and focus, electronic dimmer and strobe, iris and 3-facet prism. The comapct, yet powerful Rush MH 2 Wash is a fast LED wash light moving head featuring RGBW colour mixing and a 20° fixed beam angle. Wash beam effects are possible via electronic dimming and strobe. 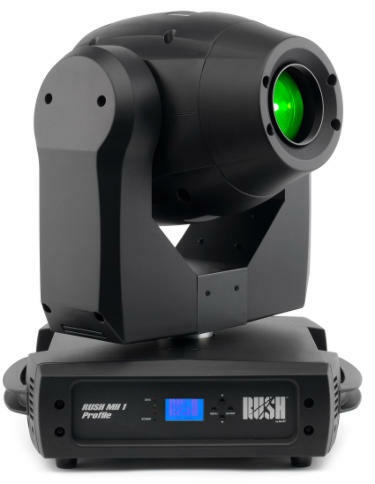 The Rush MH 3 Beam is a powerful beam moving head that blasts an intense and narrow long-throw beam for mid-air looks and effects. It houses a fixed gobo wheel with 7-step iris and colour wheel. Other effects include mechanical dimming and strobe, frost effect, 8-facet prism and motorized focus. The Rush PAR 1 RGBW is a bright LED PAR Can with premixed RGBW colour mixing and 20° fixed beam angle. 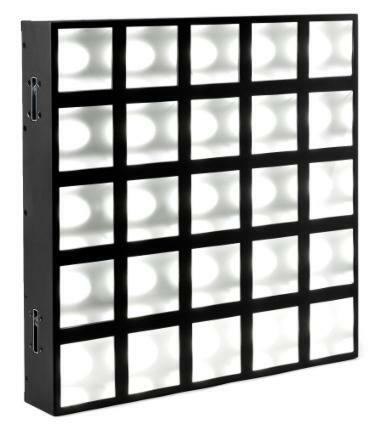 It offers electronic dimming and strobe and comes with a flexible bracket for floor or truss-mounting. The bright Rush Pin 1 CW white LED pin spot comes with two beam options for greater flexibility of coverage. Totally silent with an adjustable bracket, it is suitable as a mirror ball spot light or decorative table spot.